On Thursday, October 2nd, Dr. Allan Shencks donated $250US to the San Pedro Lions Club (SPLC). The donation was received by Melanie Paz, Vice-President of the SPLC. 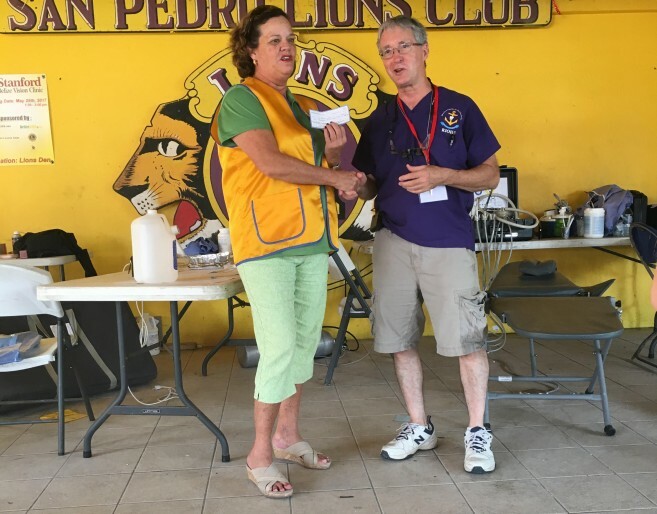 Shencks gave the donation to SPLC for future projects on Ambergris Caye on behalf of his group, the Glocester Rhode Island Lions Club in the U.S. Shencks came along with the Belize Dental Mission to the island and has been here since Monday, October 23rd.